Occupying an elevated position within the world renowned 'Vaucluse Waters', this superbly renovated apartment captures endless unobstructed water views across the Pacific Ocean from the living and master bedroom. Intelligently crafted interiors draw the outside in and optimise the home's breathtaking North East aspect with seamless flow between living spaces. The apartment also features a unique absolute waterfront balcony, one of only three in the building. 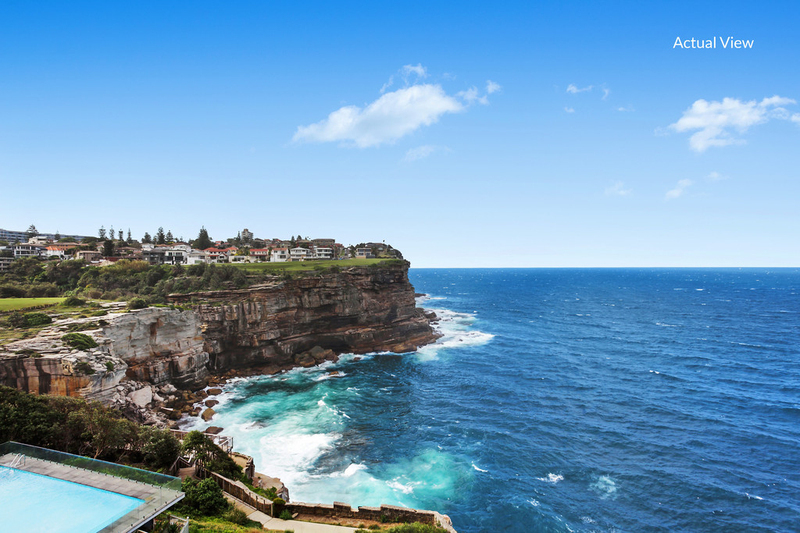 It's enviably perched on the sandstone cliffs of Vaucluse, footsteps from to Diamond Bay, coastal walks, beaches, Rose Bay North shops, and Vaucluse Village.